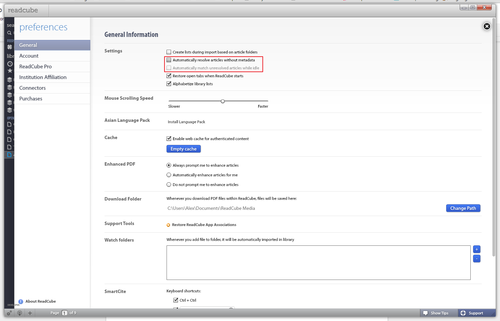 First, go into your preferences menu and make sure you uncheck both the “Automatically resolve articles without metadata” and “Automatically match unresolved articles while idle” options under the general tab. Once you’ve done this, you will see an option to “Help ReadCube Resolve Article” – choose this option. 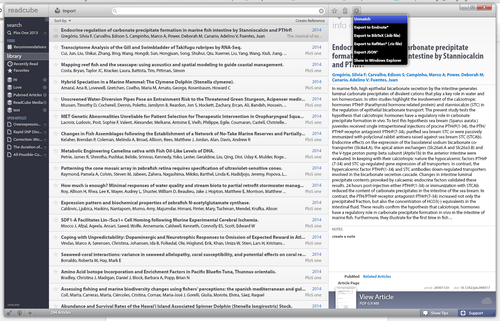 This will bring you to a screen where you will be prompted to enter information about your article. Doing this will pull up a detailed search of articles that match your PDF online, just choose the matching PDF and double click it to manually resolve your article. After this, you should be all set! Feel free to turn the options that you disabled back on in your preferences menu.